1. Fill out this form TODAY with the information for the MCA show labels. 2. Create a Google Doc and add the photos of your concentration pieces (incomplete pieces are ok too) and a brief explanation of what you are trying to accomplish, i.e. theme, area of focus, etc. Share the document with me before you leave for Spring Break. 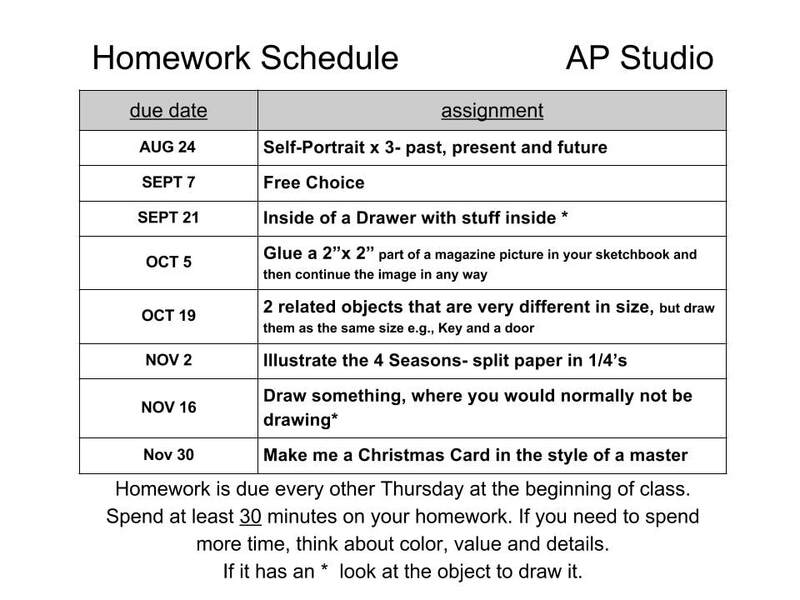 The advanced placement studio student is required to finish one piece of their choosing over the last several weeks of school to complete their final grade in class. Due: Six works for Concentration and refined written explanation. 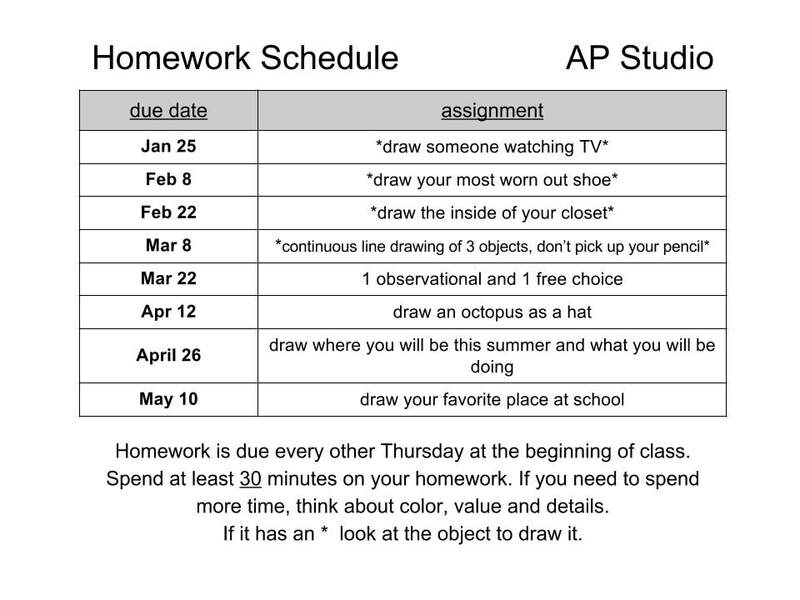 Students are expected to develop their own personal imagery. When published photographs or the works of other artists are used they should be in the service of a personal vision. Any published image should be altered in such a substantial way that it moves beyond duplication. This is a matter of artistic integrity. Gesture Drawing -- dancers, athletes, etc. Repetition- repeat object, then overlap with ?